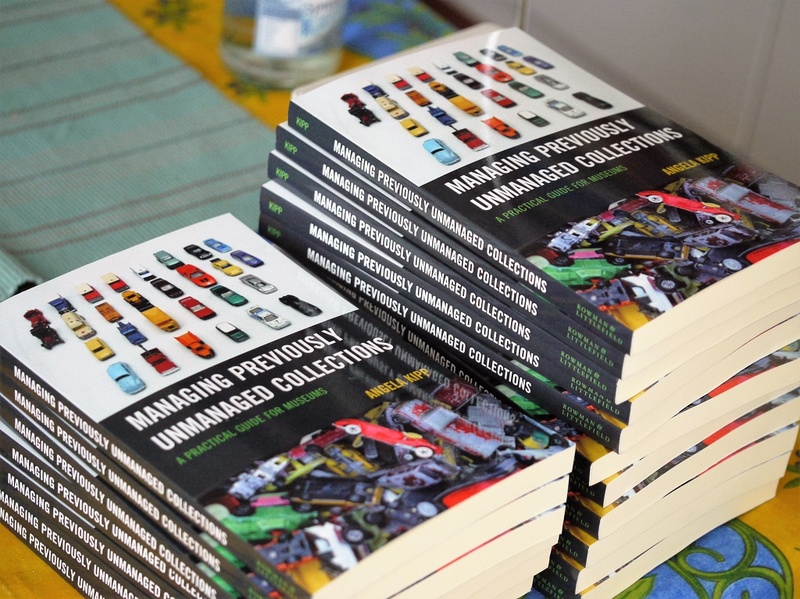 Ooops- Managing Previously Unmanaged Collections is already out! Yesterday, I was taken by surprise when our library sent me a mail that they had just received their copy of “Managing Previously Unmanaged Collections” and were about to catalog it. Two hours later I received an email from my dear colleague Susanne Nickel with congratulations as she received her copy. Throughout the whole day, while I was desperately waiting for an important transport to arrive at our museum, the mails from contributors saying “just received my copy” hit my inbox. It seemed like literally EVERYBODY had my book in hand before me. Congratulations, Angela! It’s a great book, you did a wonderful job! Thank you for all your efforts bringing this to those of us in need, Angela! I have a feeling a great many of us need help rescuing our collections from poor collections management of the past. Thanks for the lifeline! Congratulations Angela! Looking forward to the course next year. Thanks Brad, looking forward to it, too! congratulations! I wish the discount applied to none American orders but is worth the full price. Oh, so sorry, hadn’t realized that detail! Hope you are satisfied with the book, anyway. I really like this website and thank you so much for all the time you put into doing this for the rest of us out here. Thanks for the support, Aurore!